Milton thanks the guard and goes to collect his other arrows, if he can. He returns to his rooms. Great work Milton and Fredrick! You each receive 50xp! Please add this to your character sheet. Milton, you recover two arrows, the other two are broken. Fredrick you recover one arrow. Cedric, having heard boy's warning and seen the mobilized guard, arrives too late to be of any help. He sees the slain zombies and looks around for those responsible. Is anyone else on the street? Townsfolk come into the street to examine the remains. Many of them look on the rana and the monk with pride. Several clap them on the back and thank them. Good shooting Frogman! Though I must say it hasn't done the appearance of this street any favor. Hopefully we will not see too many more of their kind, I hear they're quite deadly in large packs. Fredrick begins to talk with some of the townsfolk that have gathered round. Cedric responds to Dagmar as he is leaving, Thank you sergeant. Please tell Sir Miles that I will of course be there as he wishes. Cedric waits for Fredrick to finish his conversation with the townsfolk before engaging him. A fine bit of shooting by both you and your friend. I should have been quicker if I was to be of any use, but I am quite glad that I was not needed. Do you know what Sir Miles means to discuss with us? I was not at the meeting the other day. Tamerlane eased himself away from the gaggle of townsfolk admiring their newfound heroes and walked over to a rotting corpse, barely touching the foul thing with the tip of wooden staff. It's clear to anyone looking his way that he's thinking, momentarily lost in his thoughts. He returns to the press of bodies and waits for the moment to interject a word or two to anyone who will listen. "I wonder," the fledgling mage asks out loud, "if the undead were animated recently, and by who or what? A priest of Chaos? A necromancer? Some unknown force of evil?" Then the mage's furrowed brow eases and a slight smile comes to his face. "Alas, forgive me. My name is Tamerlane. A fine job, taking out them out like so." Castle Wickersham’s once strong walls are now crumbling. One large gate tower has fallen and lies now in a heap of rubble. The keep has fared better than many of the the other structures in the town, but the defenses are sadly in need of repair. Sir Miles Wickersham has summoned you to the great hall of the castle to discuss his plans. Already seated in the great hall are a dozen men, you recognize Erlander, the castle wizard, Sir Langley, a young knight, and the others are men-at-arms of the keep. A stranger is also present. He wears the garb of a woodsman. Sir Miles looks tired. The recent zombie incursion has got him worried about the perimeter of the town. He runs a hand through his hair and then braces himself with both hands on the long oaken table. Our town was once a thriving community, a hub of commerce and agriculture in the northlands. God Fall hit us hard. Like many of you, I remember seeing the devastation when the falling star hit Pallandria. It shattered the silver goddess, causing large pieces of her to rain down upon the realms. Firestorm and earthquake consumed the great elven forests to the west. How much of the Pendrian Empire was destroyed? We do not know. Each village, town, and individual has been too busy struggling for survival to find out. We will begin with two groups of men...oh and rana...pardon me, Milton. The first group will be led by Sir Langley and will consist of six men. Sir Langley is my right arm. His skill is much needed in Wickersham, but the need for this mission to succeed takes all precedence. The second group will be led by Aldaran...he is has come out of the wilderness, a ranger of the Tanglewood Forest. Aldaran is the son of the legendary ranger Alden, friend of the people of Cormandy and of my father, Lord Wickersham. His honor is unquestionable and we could not ask for a better ally. As leader of this town and lord of the castle, I can offer whatever assistance I may to this cause. Our armory is limited and supplies are low, but you need but ask and it shall be granted if possible. Sir MIles gestures towards the banner above the great fireplace. 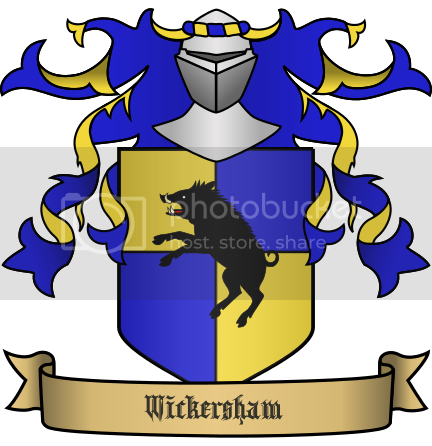 It is the standard of Wickersham...a rampant golden boar upon a field of blue. This is the banner of our town. It will be a notice to all that see it, that Wickersham is not dead. You will be accorded the authority of being my representative. There is little that we know about the realms now. The capital city of Cormandy is many leagues to the south. The southwest road leads to Marshtown and the Cormandy Bay. Before God Fall, ships would port there and trade brought to and from Cormandy, the capital city, to the south. It was over a year since the last news came to us from Cormandy. The the west is blight...the westlands suffered heavy damage from God Fall. It is also a source of evil. Unnamed horrors have been born in the westlands. The north has a great chain of mountains and the dwarven kingdom. We don't know the fate of the dwarves, but the evil that invaded our town today seems to originate in the north. To the east lies the King's Road and the long arc down to Cormandy. Many small villages and some castles lie in this direction. It is unknown whether the local lords were able to maintain order or provide protection for the people. Your goal is two-fold...first scout the area around Wickersham. Report the danger to our town. Your second goal is to direct good people to Wickersham. Provide directions and protection when possible for those that would benefit our town. We shall discuss the details while we dine. 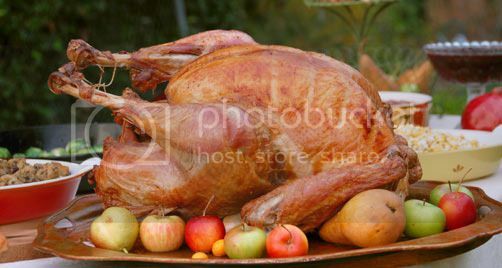 Sir MIles motions to a servant and trays filled with fresh bread, stewed apples, and roast chicken, are placed along the table. Pitchers of good wine are poured into the glasses. As you know, this is not the common fare of Wickersham, but to mark this occasion...we shall celebrate and pray for good fortune for our town. Milton licks his fingers after each bite. You say that we are to direct others here. Have you maps that we may distribute? Will there be a code phrase, such as "A fish in hand is worth two in the stream," so that you will know it is we that sent them and we deemed them good? Perhaps magic that can detect evil in others would be helpful, in a scroll that can be read or with an object of sorts? Speaking of maps, you must have known of farming outposts and nearby hamlets we can find first. Can you provide us with a map to those places? It seems like that would be a good way to start. Sir Miles looks upon the frogkin MIlton, Our ranger friend here knows the countryside well. I have given him a map of the surrounding area. Most villages are clustered along the main road. You will know whom to send to Wickersham...the ones that don't try to kill you or eat you will be a good start.